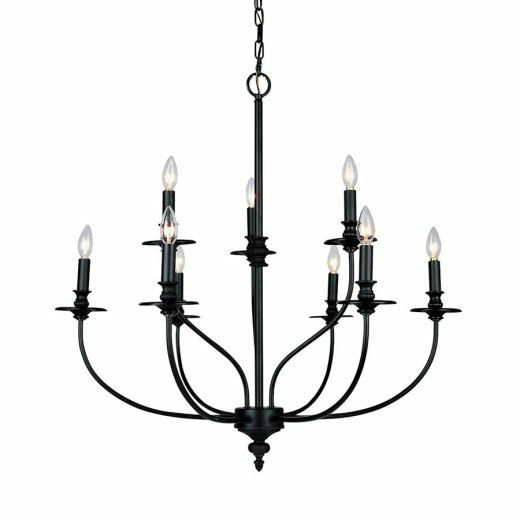 The Hartford Chandelier is the perfect lighting piece to accent your home. It has a light and airy feel, as well as an oil rubbed bronze finish that will work well with a variety of decor. Available in three sizes, this vesatile fixture will bring a beautiful look to your space. Uses 60W bulbs.